In this competitive business world, every organization is trying to offer their best to remain ahead of their rivals and their main target is to draw large customers by offering the best possible services. .Net is today’s leading platform that is used for web application development and is widely used and accepted platform in the IT industry. Every software development company wants to hire candidates having expertise in this framework so that they can create an extremely versatile application for their clients just the way they want. With the demand for .Net programmers increasing, several training institutes have also cropped up, but it is very important to get coaching at a professional IT training center. Today, .Net courses are a must for everyone willing to pursue a software development career and joining a course often offers the competitive knowledge that helps the candidate to face any challenging situation in the world of information technology. 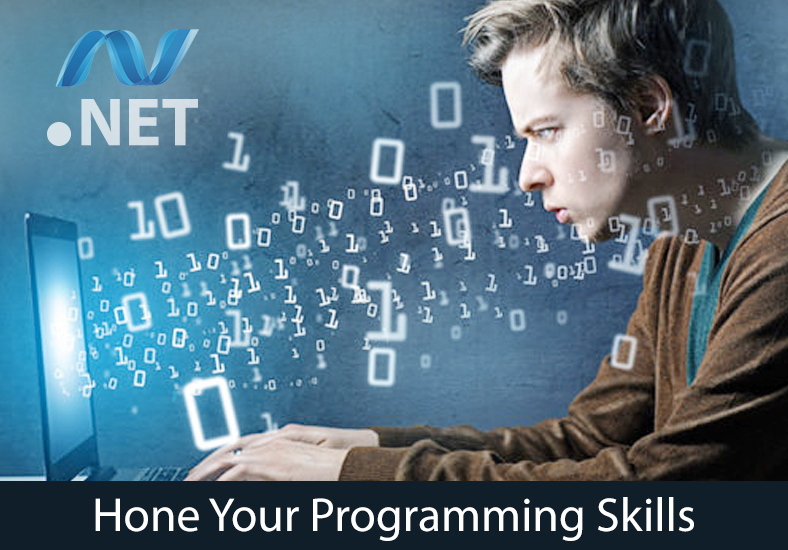 Since the value of .Net is believed to be extremely beneficial when it comes to making and managing software, it is important to enhance your job profile and improve your abilities if you are looking for a bright career ahead. Joining a professional .Net training course not only helps the beginners to secure a good job, but it also helps experienced programmers strengthen their portfolio and target a lucrative job profile. a). Net is an easy language to learn and with proper training, one can easily learn the technology in a short period of time. This will help them to start with their career much earlier than other technologies. b) Large applications can be easily built by using this framework as the code quantity can be significantly reduced with this language. c) Dynamic pages can be developed easily using the .Net platform and the code mixes very smoothly with the HTML. d) Since the framework is developed by Microsoft, the authentication and configuration keeps the business application highly secured. How joining a .NET course can secure your future? Work on live projects: Joining a training course can help you a lot as such professional program is often backed with live projects or industrial workshops. The course often focuses more on your practical skills and hence they offer an opportunity to work on real time projects where you will be taught more about SDLC, tuning and deploying of applications on cloud, coding, debugging and many more. This often helps to remain ahead of others when looking for a job. Latest tools: Trainers and experts of the institution will teach you everything that is important from the development point of view and you will also get to know more about the tools and techniques used in this current technology. Since .Net is an advanced technical platform, having knowledge in this fast growing IT domain, it will surely help you to find a lucrative job in the IT market. Competitive materials: A professional training institute will always provide you with competitive materials so that you are prepared for the real time experience. Learning and using that knowledge into practice often requires guidance. Hence, a training course with practical application classes will teach you as well as prepare you for professional challenges.